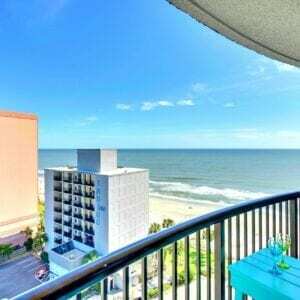 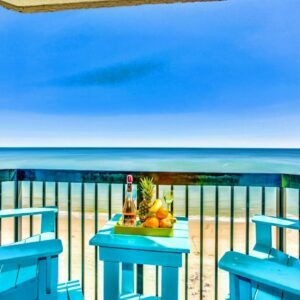 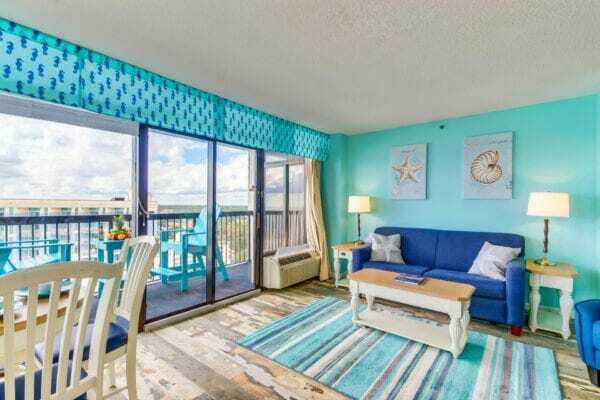 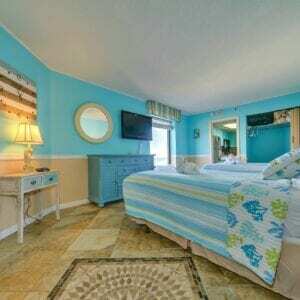 ONE OF THE BEST LAYOUTS IN ALL OF MYRTLE BEACH AT MYRTLE BEACHES TOP RESORT. 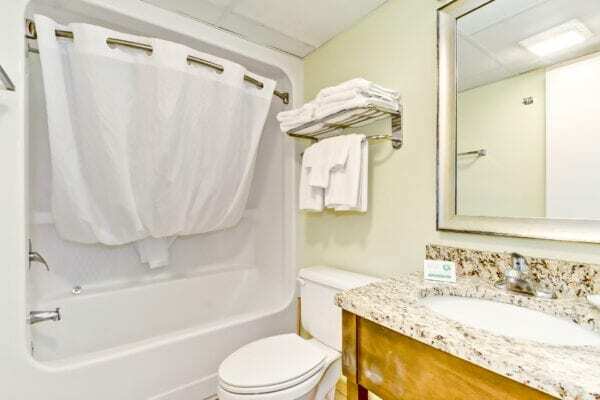 THIS IS A ONE OF A KIND UNIT. 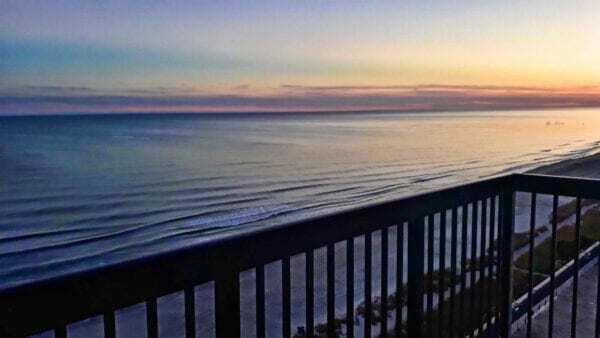 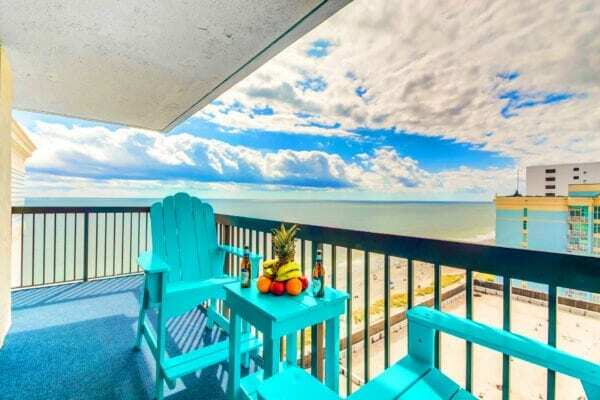 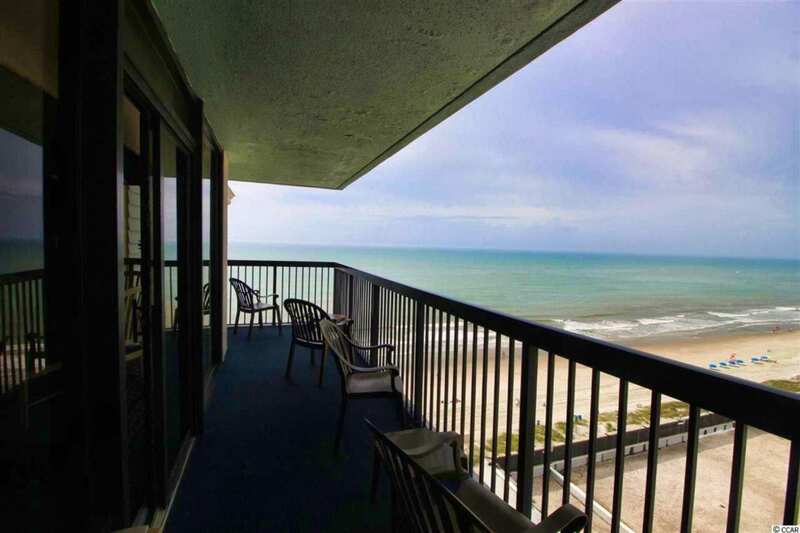 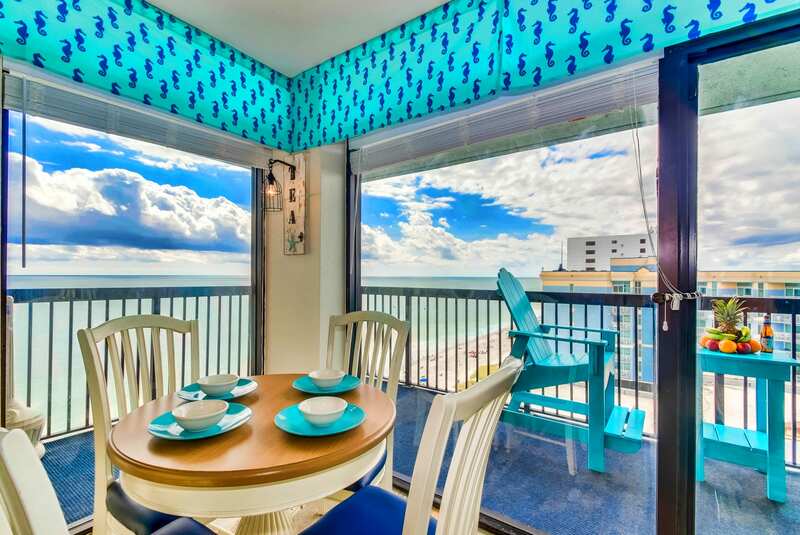 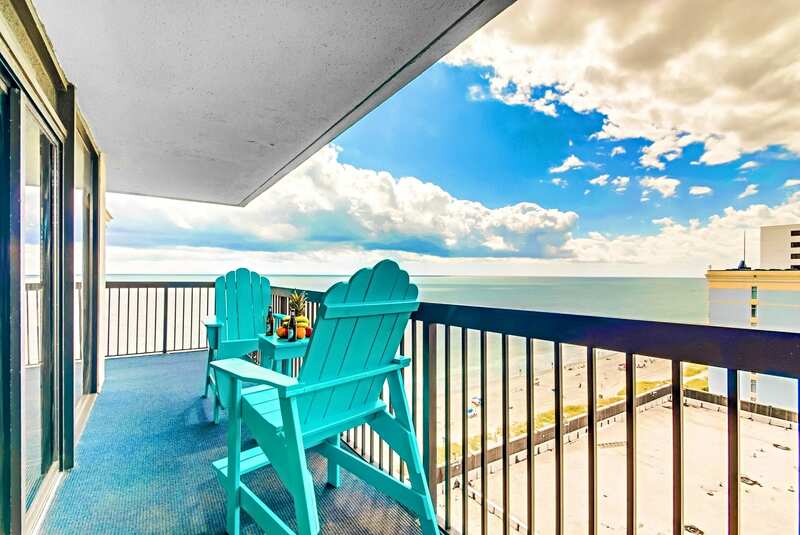 .THERE IS ONLY ONE PER FLOOR AND THIS UNIT IS THE HIGHEST UP WHICH GIVES IT A UNOBSTRUCTED VIEW OF THE OCEAN. ALSO THIS UNIT IS VERY PRIVATE BEING AN END UNIT IT SITS BY ITSELF IN THE WHOLE SOUTH BLOCK OF THE BUILDING SO YOU HAVE NO DIRECT NEIGHBORS..WHAT MAKES THIS UNIT UNIQUE IS THE WRAP AROUND 200 SQ FOOT BALCONY THAT IS HUGGGEEEE. 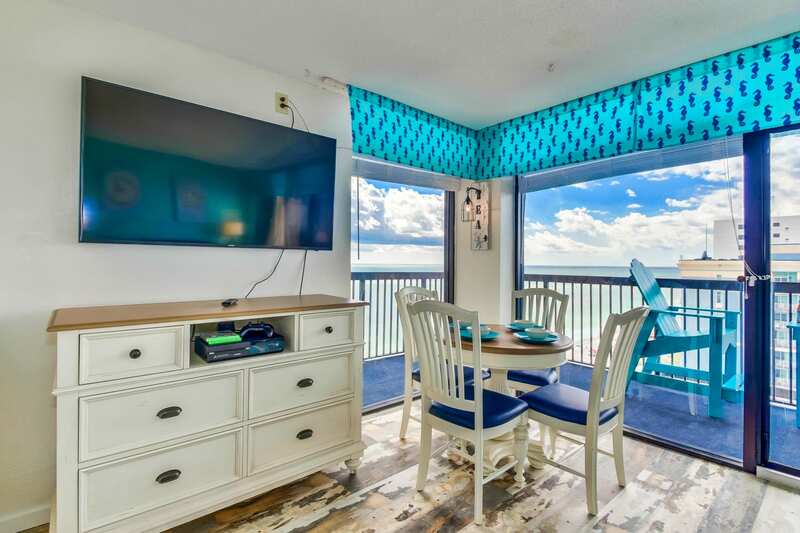 THE WHOLE LIVING ROOM IS FLOOR TO CEILING GLASS THAT WRAPS AROUND AND YOU CAN ENOUGH ACCESS THE BALCONY FROM THE BEDROOM AND THE LIVING ROOM WHICH MAKES IT VERY UNIQUE FOR A ONE BEDROOM. 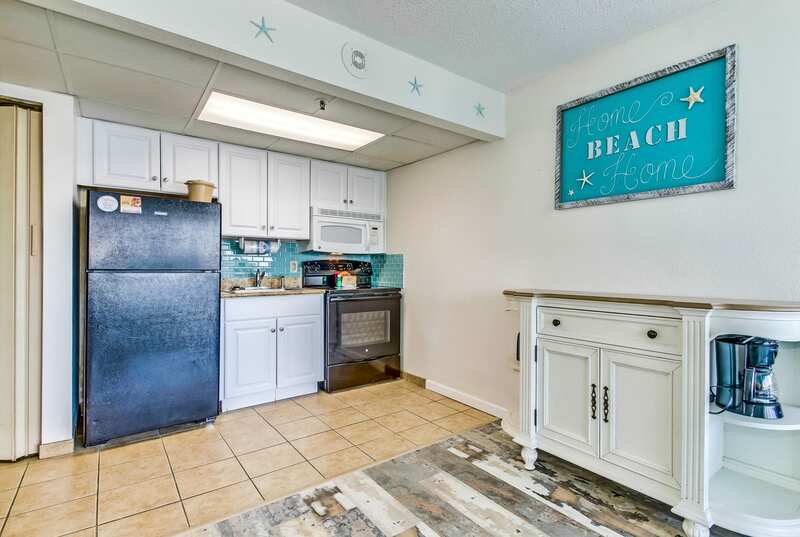 THIS CONDO IS MADE LIKE AN ACTUAL CONDO NOT LIKE A HOTEL ROOM AS YOU WALK INTO A FOYER INSTEAD OF THE BEDROOM. 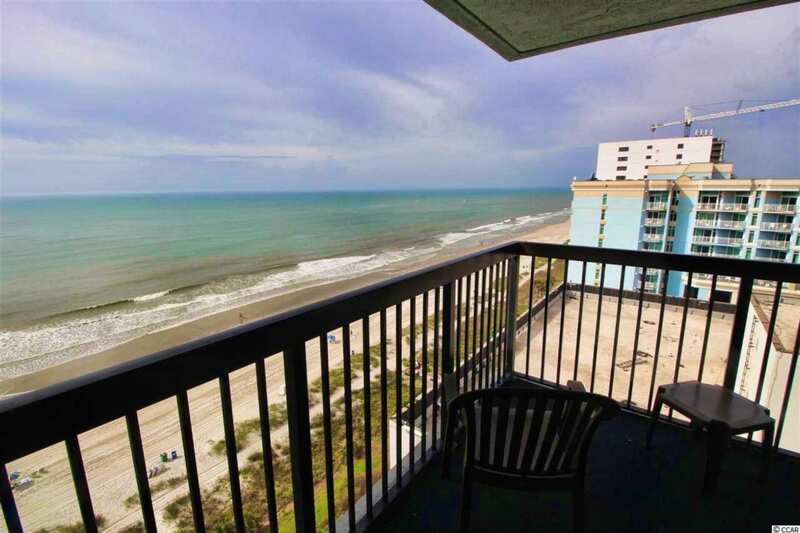 THIS UNIT BOASTS ALMOST 1000 SQ FT COMBINING THE INSIDE AND THE LARGE BALCONY. 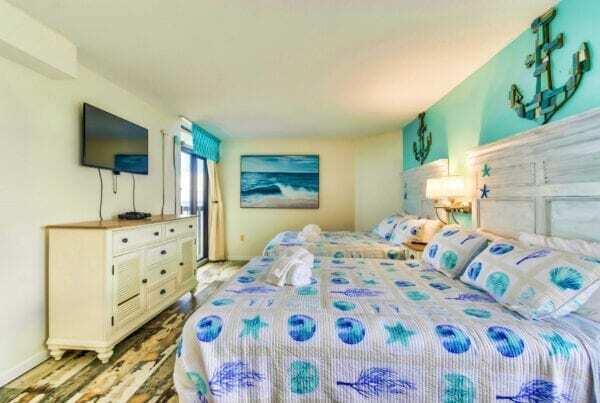 THE BEDROOM IS OVER SIZED AND 2 PLUSH QUEEN SIZE BEDS, LARGE WINDOW LOOKING OVER THE CITY, AND A LARGE FLAT SCREEN TV. 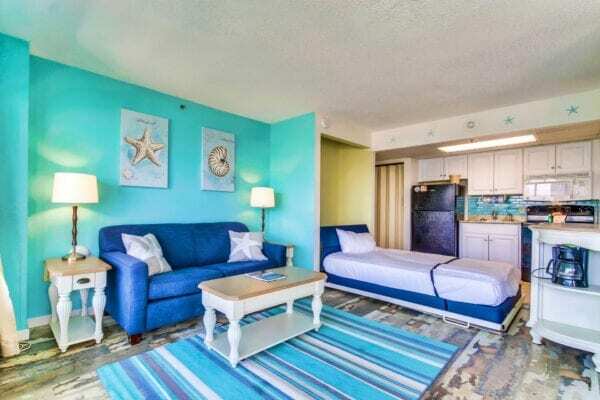 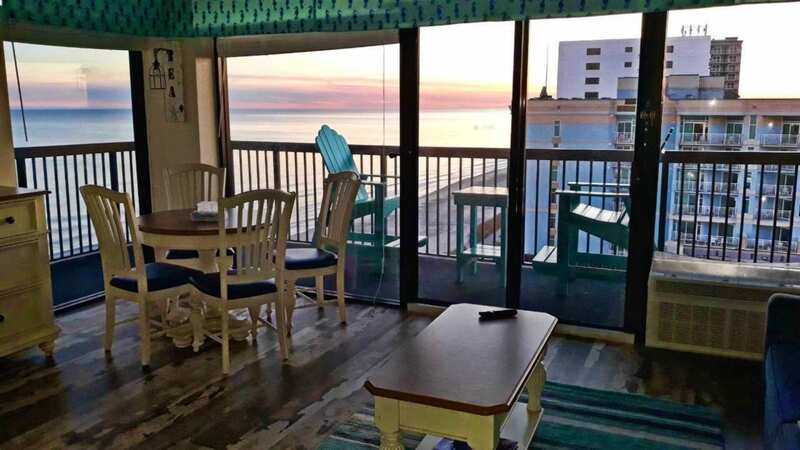 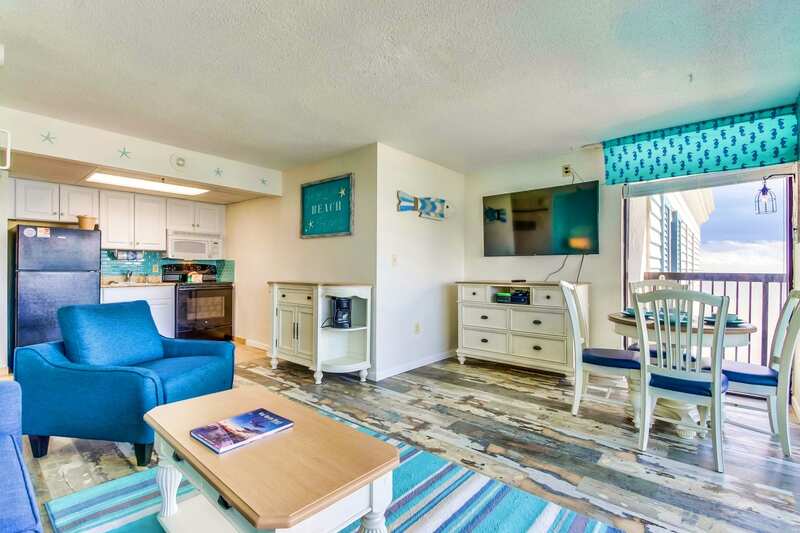 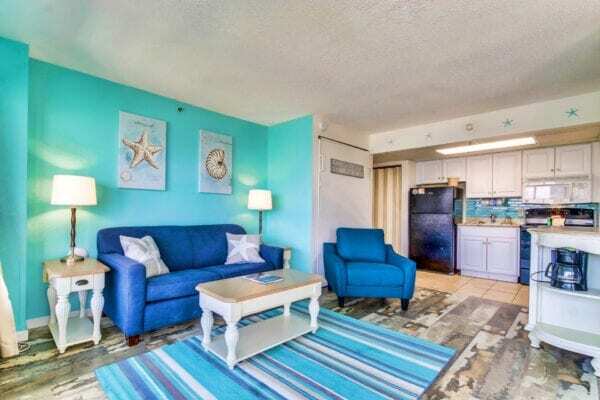 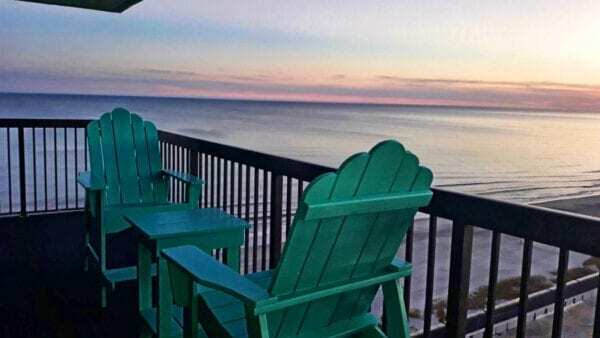 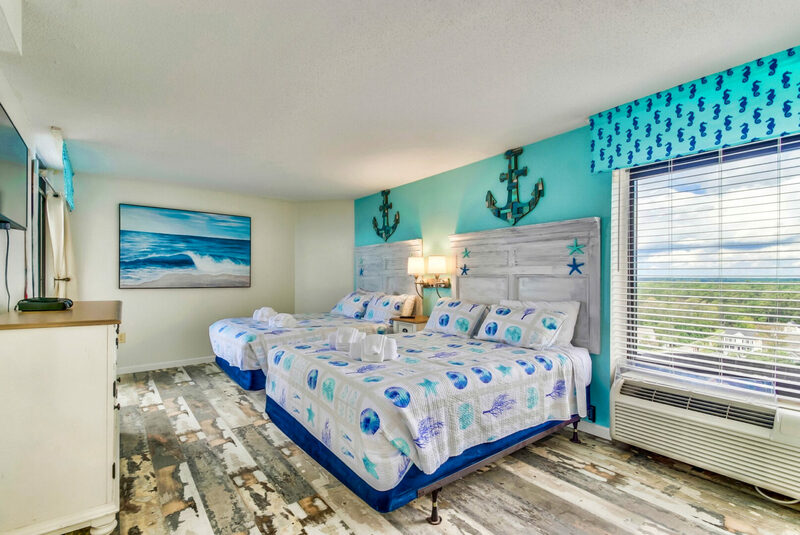 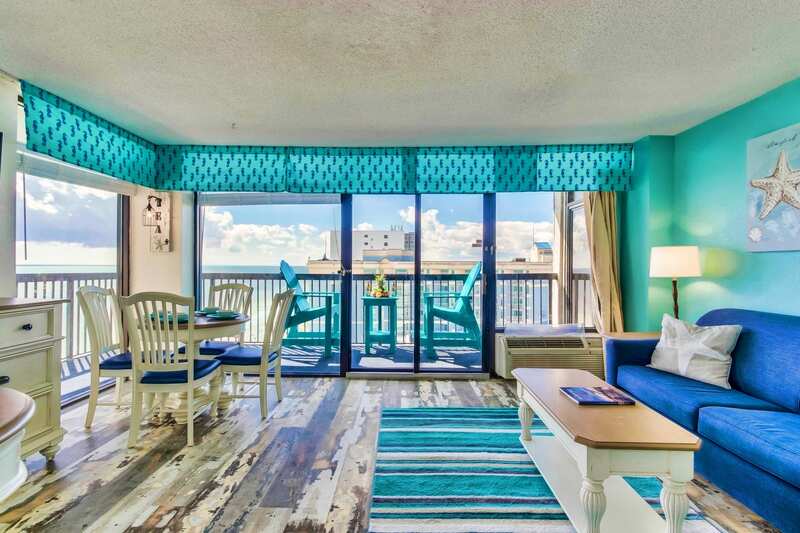 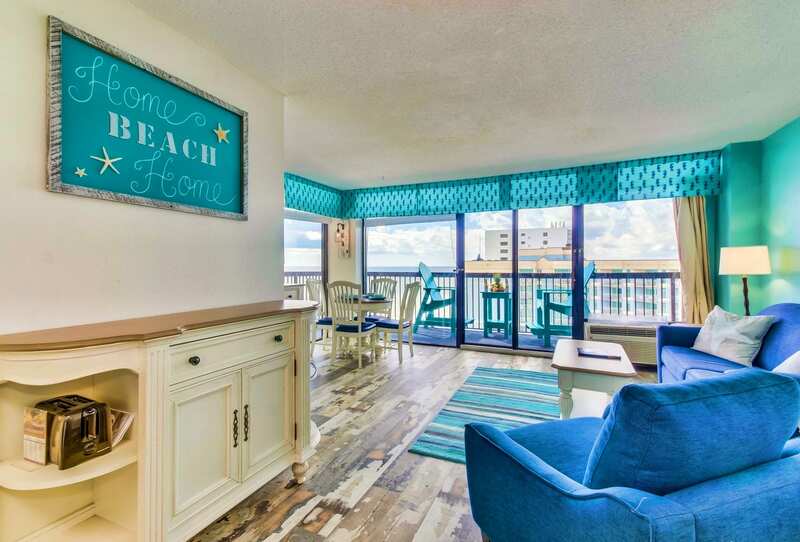 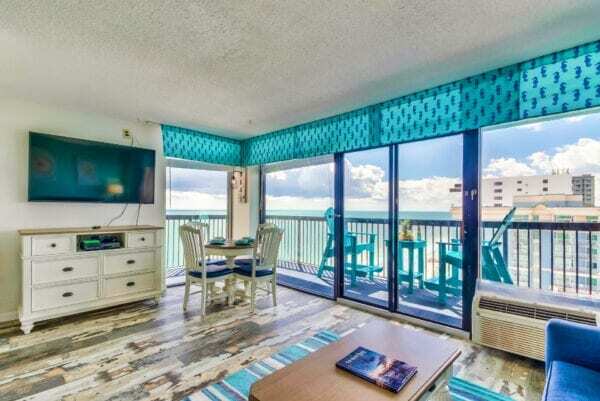 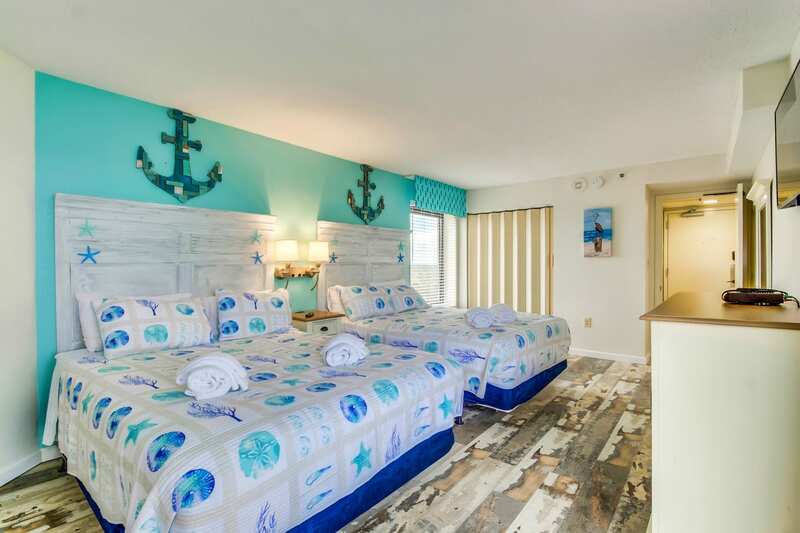 THE LIVING ROOM IS EQUIPPED WITH A SLEEPER SOFA, PULL DOWN MURPHY BED, 60″ SMART TV/ XBOX ONE WITH GAMES(SLEEPS 8) CUSTOM FLOORING THROUGHOUT, FULL KITCHEN WITH BACKSPLASH, HIGH TOP SITTING ADIRONDACK PATIO FURNITURE TO LOOK OVER INTO THE OCEAN. 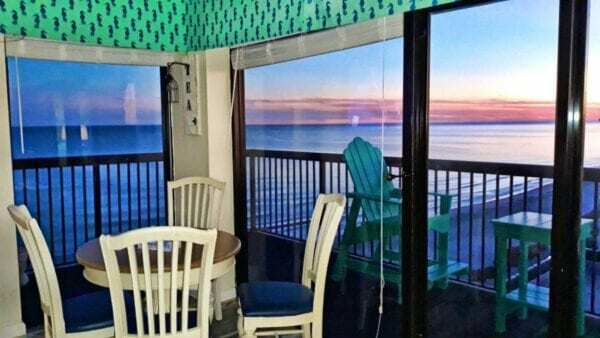 THE FLOOR TO CEILING GLASS THAT WRAPS AROUND THE WHOLE LIVING ROOM MAKES IT EASY TO SEE DOLPHINS FROM JUST SITTING IN THE LIVING ROOM. THIS IS TRULY A ONE OF A KIND UNIT AND ONE OF MY FAVORITE LAYOUTS IN ALL OF MYRTLE BEACH.